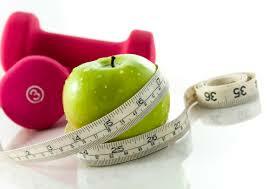 In this study group you will learn what combination of eating and exercise works best for your weight loss. You will discover what motivates you and keeps you fired up to get results that you deserve. Private weigh in, body measurements, body fat analysis and optional pictures the first and last week of class. Losing weight can be easy, fun, healthy and easy-to-follow. This class will include an easy-to-follow menu plan & grocery list, recipe samples and recipe exchange. If available, please bring a smartphone or laptop to every meeting.